Instagram’s popularity has been growing rapidly and has made it one of the popular social networks in the world. The easy-to-operate and interesting features of the platform has made people fall in love with it more and more every day. With the introduction of ‘stories’ feature, Instagram made a strong impression in the market. Continuing with its innovation efforts, the social networking giant recently introduced a ‘follow Hashtag’ Feature which has created quite a buzz in the Industry. Firstly, let’s know about the feature, what exactly is this update about and how it will function. Along with the corresponding feed of a user there will be posts shown on the feed followed by the hashtag. The feature will allow users to follow a particular topic of their interest. When a user will decide to follow a specific hashtag, Instagram will use its algorithms to pick and choose some of the highlights from posts featuring that hashtag. This update by Instagram will add posts from random accounts to a user’s feed, but this also means that posters may try to take advantage of the algorithms in an attempt to have their post reach as many users as possible. However, the platform says that it will work to ensure that users are not inundated with spam because of this new feature. For users this feature will begin seeing top posts from the particular hashtag in their feed and some of the latest stories in the stories bar. Another possibility with this update is that you can unfollow a hashtag at any time. Yes, you got that right. This feature also brings out the possibility of ad targeting and delivery on Instagram, as well as spamming. However, as of now there is no advertisement option with this feature. 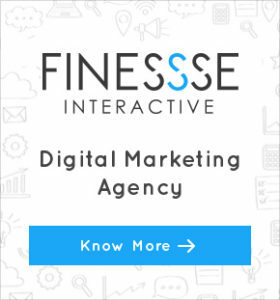 If we look into the possibilities about what all can be done with this feature, starting with pitching brands for creating sponsored hashtags that people will be able to follow, running ads to be seen by the people who follow the particular hashtag, and promoting hashtags as a paid placement in hashtag-related search results are some of them. 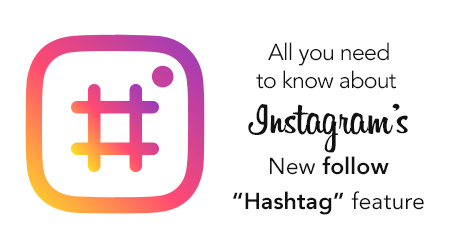 So, now that you know about this latest invention of Instagram, it is time to follow “hashtag” and get the updates you always wanted to see in your feed or reach out to people who share the interest into what your brand is all about.